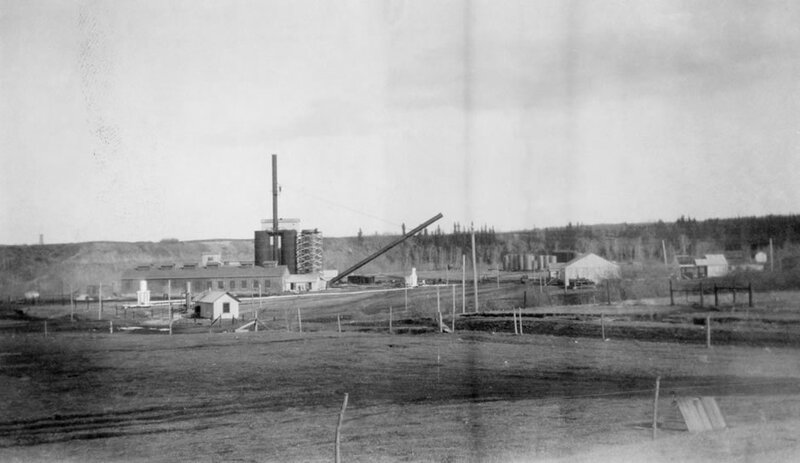 The fire that destroyed Calgary Petroleum Products’ Turner Valley plant represents the end of the first phase of Turner Valley’s operations. 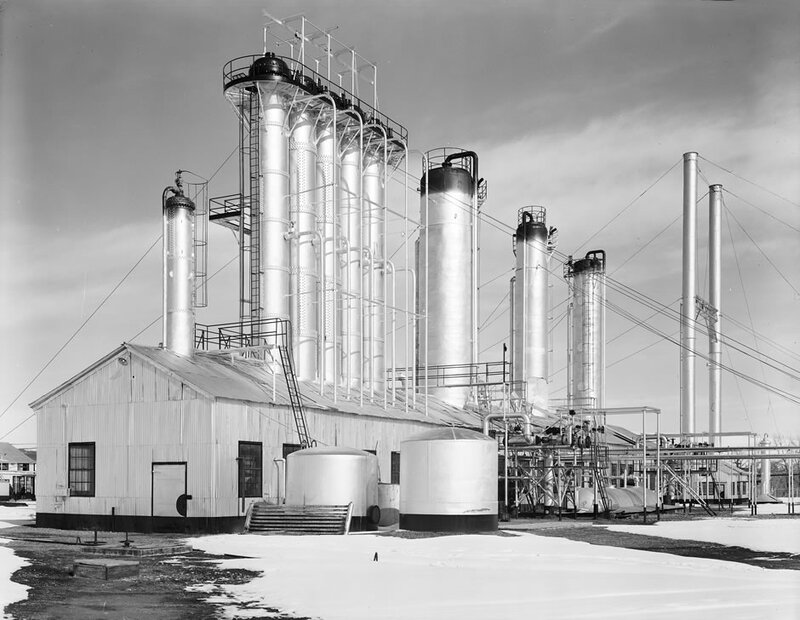 During the next phase of development, the plant came under the control of Imperial Oil, and natural gas became a more significant aspect of its operations. 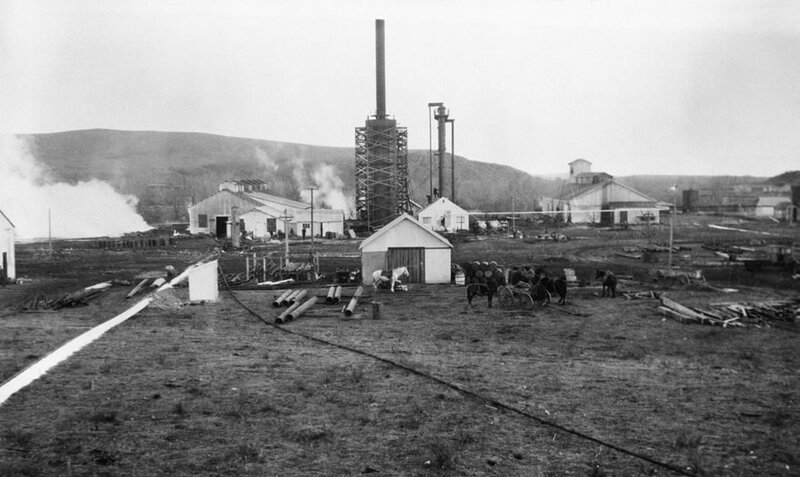 Turner Valley's naphtha was similar in nature to kerosene already being marketed under the name. 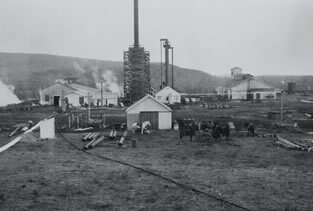 Royalite oversaw major developments at the Turner Valley gas plant in 1921. 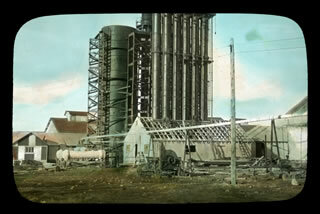 It built a new absorption plant to replace the one that had burned down and added a compression plant. 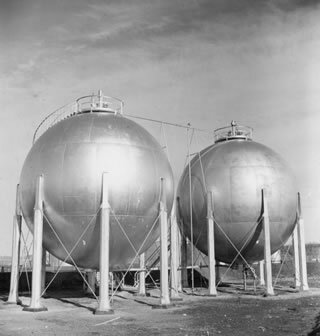 The absorption plant stripped gasoline from the wet gas, while the compression plant pressurized the gas for transmission. 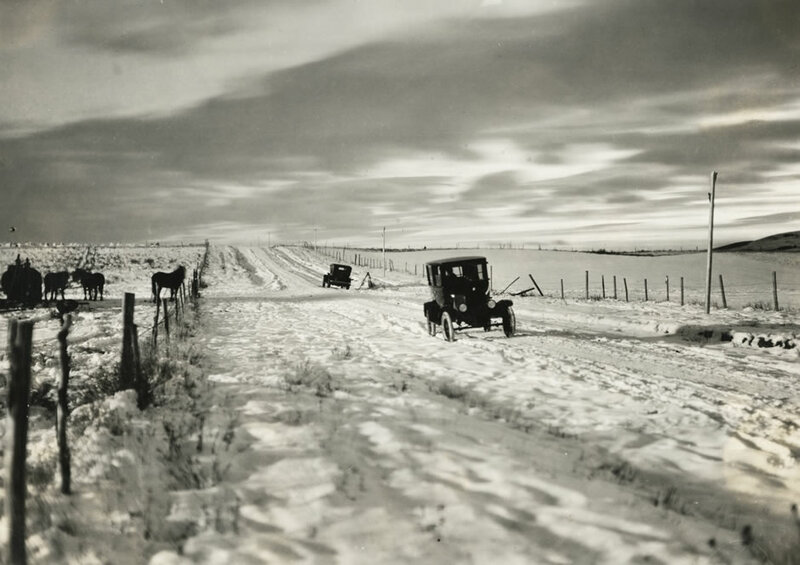 The company succeeded in getting an agreement with Canadian Western Natural Gas to allow its pipelines to be used to transport natural gas from Turner Valley to Calgary. 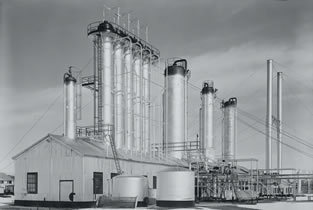 Royalite built a connector pipeline from the Turner Valley plant to Okotoks and, ultimately, to Canadian Western Natural Gas’s Bow Island-to-Calgary pipeline. For the first time, Turner Valley natural gas was able to reach a large consumer base. 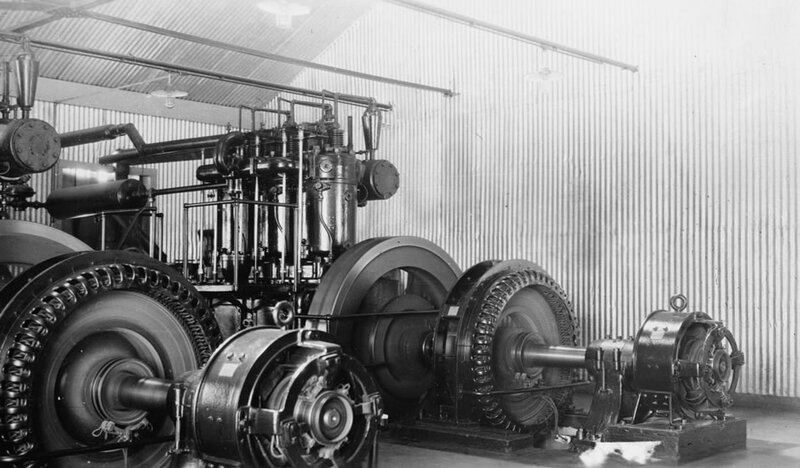 The compression plant doubled in size in 1923 to meet increasing demand. 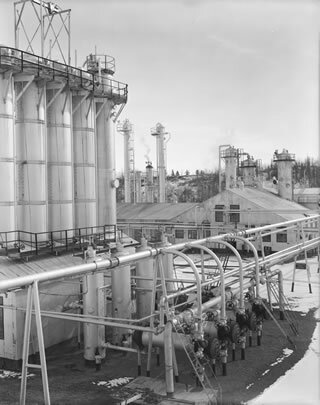 In the same year, Imperial Oil consolidated its interests in Alberta when it opened a new refinery in Calgary’s Ogden district. 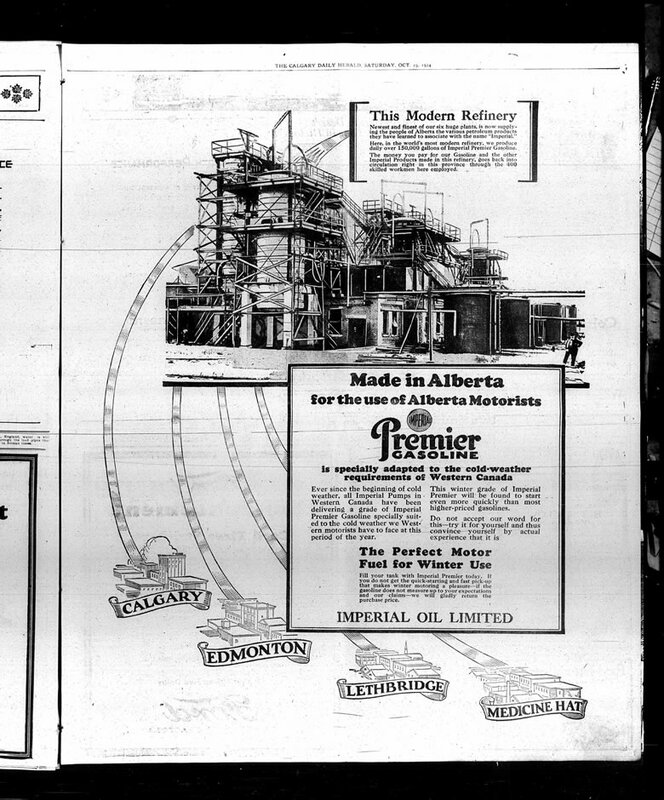 Letter to the Shareholders of Calgary Petroleum Products, 1921; Archibald Dingman, Managing Director of Calgary Petroleum Products, wrote this letter to the company’s shareholders explaining the reorganization of Calgary Petroleum Products into the Imperial Oil subsidiary Royalite. 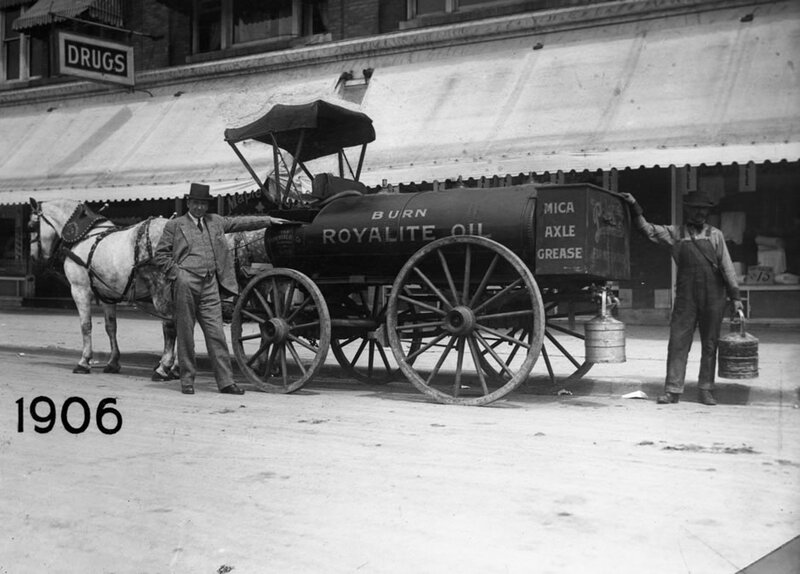 Royalite embarked on a new drilling program in September 1923 when drilling began on the Royalite No. 4 well (Dingman Nos. 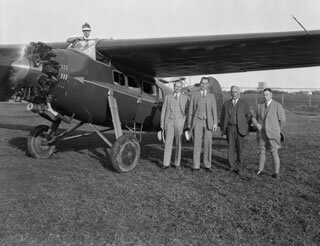 1, 2 and 3 had been renamed Royalite Nos. 1, 2 and 3). The new well encountered gas at 539 m (1,770 ft.), 720 m (2,363 ft.) and 875 m (2,871 ft.) and began producing natural gas at a rate of seven million cubic feet per day, most of which was sent through the new pipelines to Calgary. 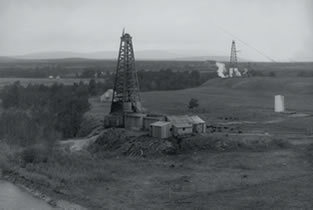 By spring 1924, the well’s pressure and production fell dramatically, so drilling began again. 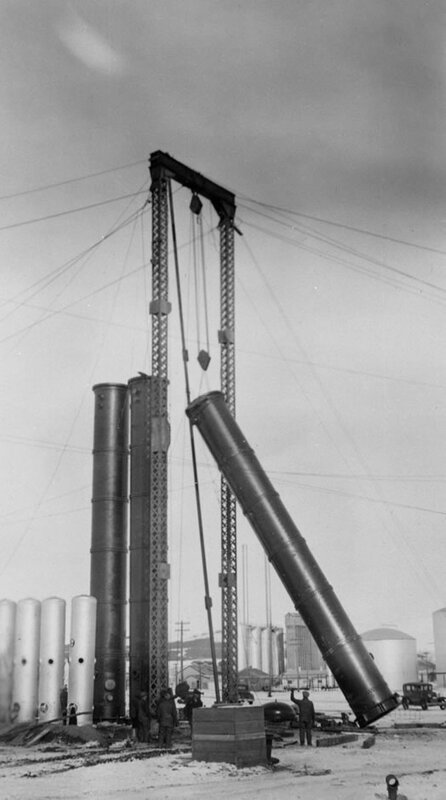 The well reached harder limestone at 1,000 m (3,450 ft.) when the order came to stop drilling. The team at the well ignored the order and continued to drill. At about 1,100 m (3,750 ft.) the drill bit became stuck. On October 14, during an attempt to retrieve the drill bit, the well suddenly blew in at a rate of 20 million cubic feet of natural gas a day. The gas ignited on October 19 while the crew was trying to clear the drilling equipment from the well and bring the flow under control. 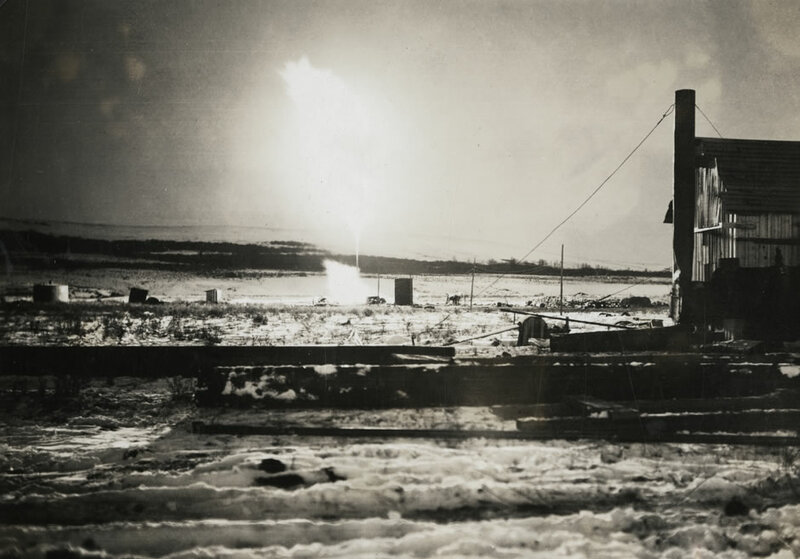 The fire destroyed the derrick, and the glow from the blaze could be seen as far away as Lethbridge, 150 km (93 mi.) to the southeast. 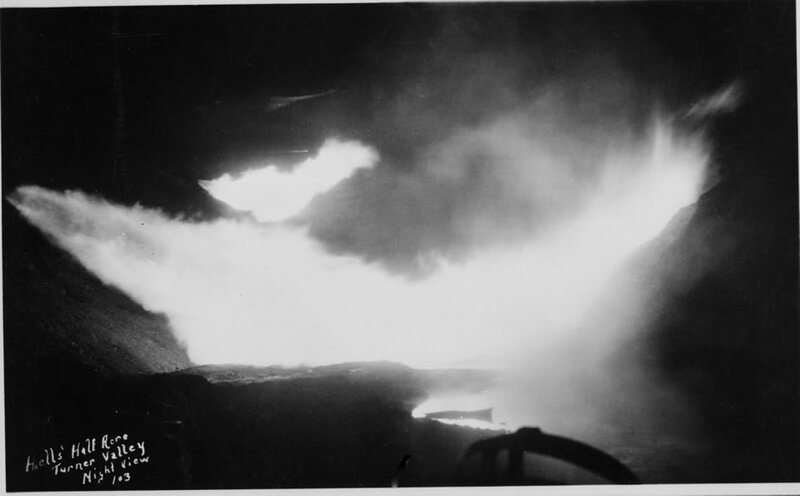 The fire raged for weeks before a team of experts from Oklahoma used steam and dynamite to extinguish the flames and prevent it from reigniting. has to be removed from the gas, a process called sweetening. 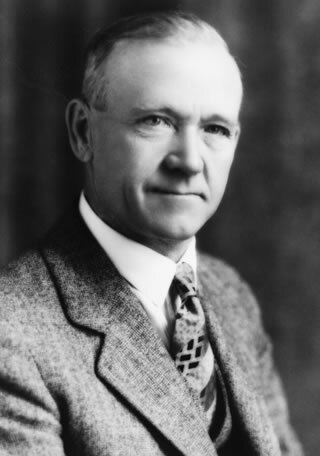 Samuel G. Coultis, superintendent of Royalite’s Turner Valley gas plant, looked to a Canadian precedent in addressing the sour gas problem. 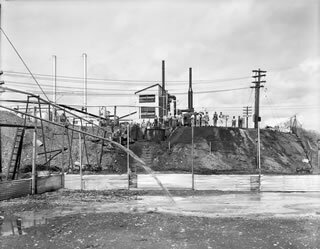 The Tilbury field in southern Ontario had similar problems, and the Union Gas Company had adapted a process developed by the Koppers Company of Pittsburgh to deal with coal gas in which high pressure was used to purify or sweeten the gas. 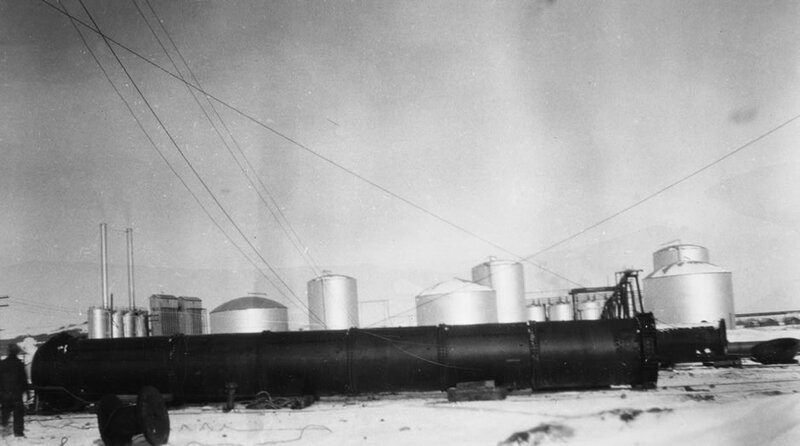 Coultis created a similar scrubbing operation at Turner Valley to remove the hydrogen sulfide. 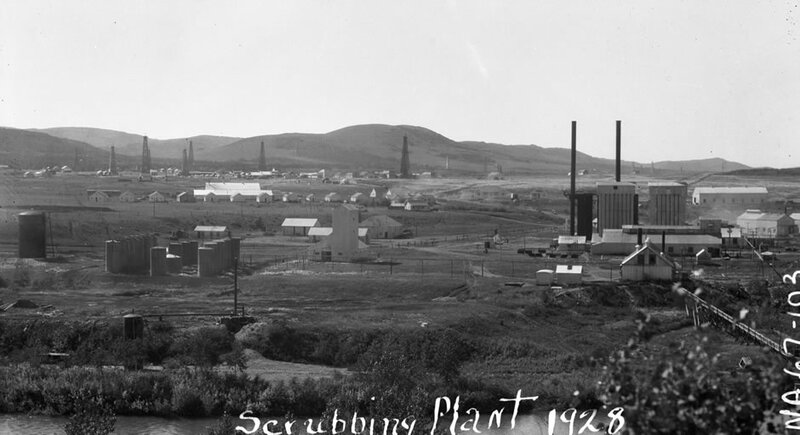 The scrubbing plant built at Turner Valley in the summer of 1925 had a distinctly industrial look and consisted of a tall steel tower, six scrubbers and two actifiers or absorbers. 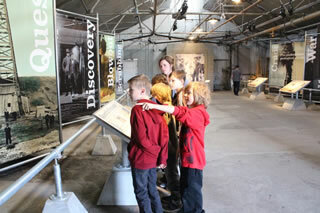 The new facility and equipment sweetened the gas and made it safe for use by removing much of the sulfur content. 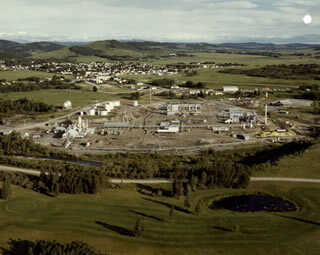 The increased production of gas at the Turner Valley plant exceeded existing pipeline and trucking capacity, causing Royalite to begin building several new pipelines to the Imperial Oil refinery in Calgary. 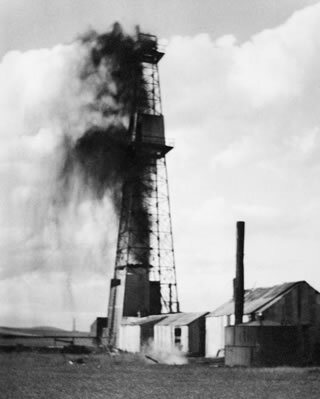 By 1928, production increased to 60 million cubic feet of gas per day. Royalite’s success and profitability enabled it to begin acquiring competing companies in the area. 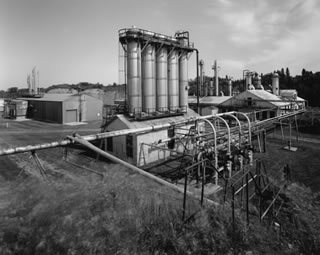 Many smaller companies, lacking their own transportation networks and refining facilities, were forced to rely upon Royalite’s pipelines and Imperial Oil’s Calgary refinery, further entrenching Royalite and Imperial Oil in Alberta’s developing oil and gas sector. 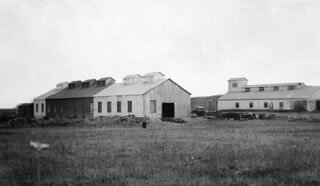 In 1933, Royalite opened the first Canadian high-pressure lean oil facility in Turner Valley. This was its Absorption Plant No. 3, which operated until the plant’s decommissioning in 1985. 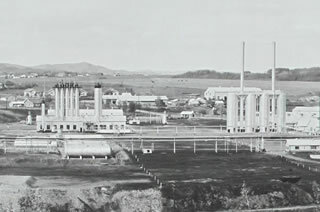 In 1935, the scrubbing towers were replaced by steel bubble cap trays, which increased the plant’s production capacity. 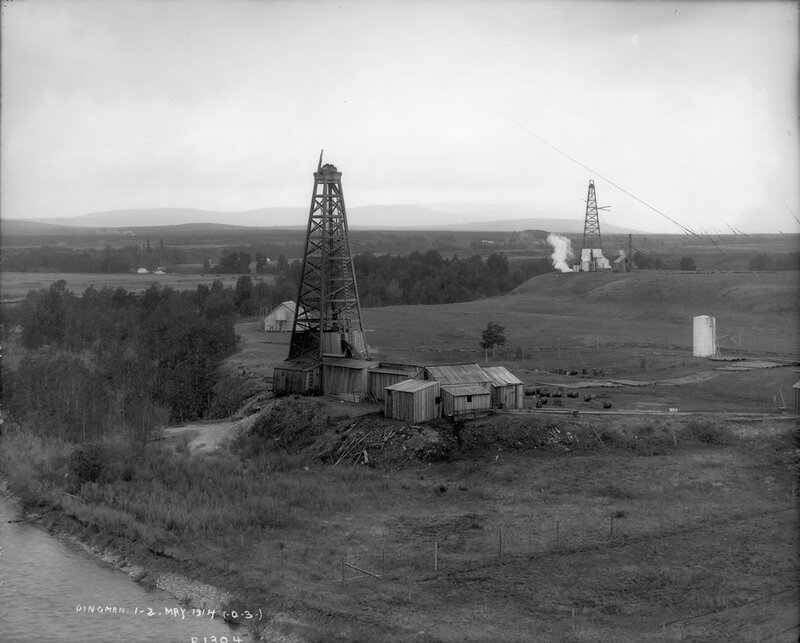 The next major discovery in the region was made by the Turner Valley Royalties oil company and located at the south end of Turner Valley. 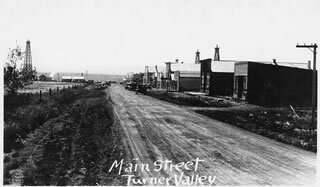 This well, known as Turner Valley Royalties No. 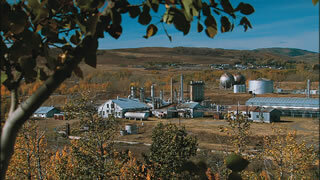 1, began producing oil in 1936. 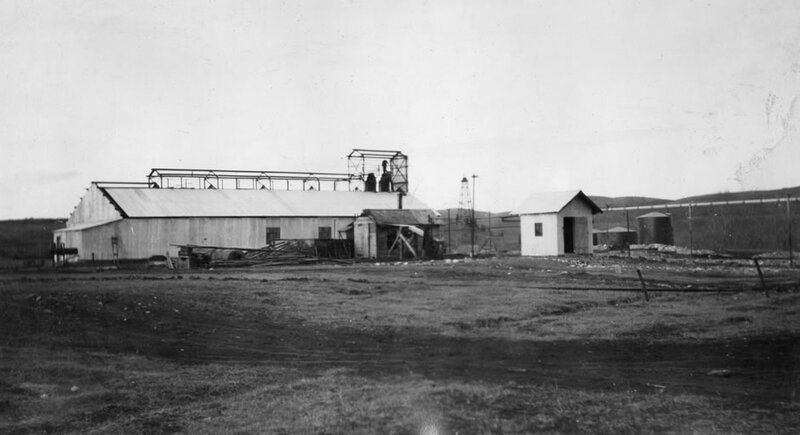 This new well was not a Royalite or Imperial Oil well, and it was primarily an oil rather than gas well, so its discovery did not directly impact the gas plant. 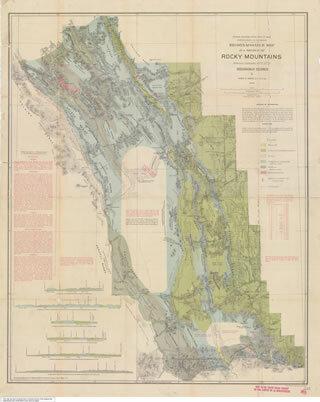 However, its success did reinforce the belief that the Turner Valley region contained a major oil and gas field. All the same, Royalite and Imperial Oil’s enthusiasm was tempered by increasing concerns about the high costs of drilling, the limitations of local markets and Turner Valley’s distance from large population centres and markets in eastern Canada. 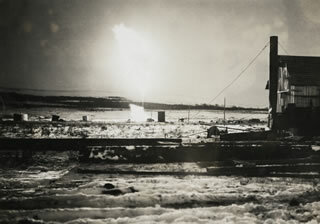 Imperial Oil began to envision a network of trans-continental pipelines transporting Alberta’s oil and gas products to eastern markets. 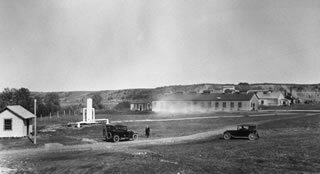 In the 1930s, the flaring of gas that had raised the ire of federal regulators during the Calgary Petroleum Products era at Turner Valley began to create a serious problem for Royalite and attracted the attention of the Government of Alberta. Years of uncontrolled flaring of natural gas had resulted in a drop in pressure throughout the Turner Valley field, making it more difficult to bring oil to the surface. This development prompted the Government of Alberta to adopt conservation measures. 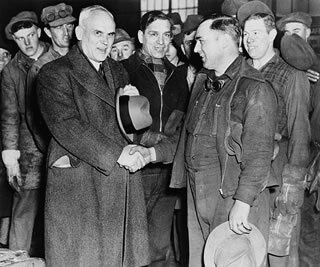 The first attempt, the 1932 establishment of the Turner Valley Gas Conservation Board, was unsuccessful due to limitations on provincial powers and opposition from the oil companies. 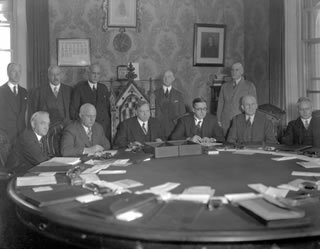 The second and much more successful attempt was the creation of the Petroleum and Natural Gas Conservation Board (now Alberta Energy Regulators) in 1938. 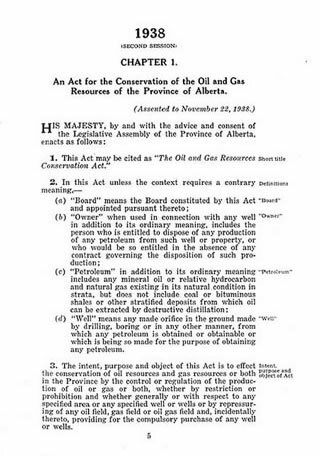 The conservation board’s mandate was to promote less wasteful production, and its powers included setting maximum allowable production rates for every oil and gas well in Alberta in order to achieve the greatest possible sustainable and equitable production. 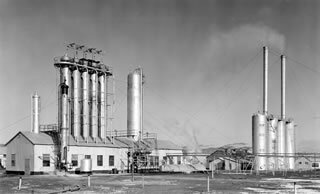 CONVENTIONAL OIL, Oil Column Era: 1936-1946 CONVENTIONAL OIL, Robert Arthur Brown and Robert Brown Jr.
Coultis had a significant role at the gas plant from 1921 until 1939. 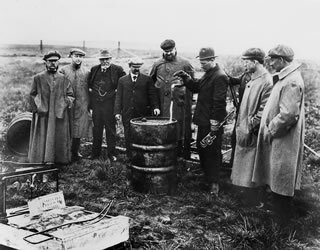 Starting in the 1920s, the Government of Alberta attempted to impose conservation measures onto the oil and gas industry, with only mixed success.